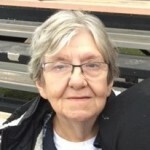 Evelyn J. Collett, 76, of Dowagiac, passed away surrounded by her family on Wednesday, February 5, 2019, at Ascension Borgess Hospital, Kalamazoo. Evelyn was born on August 20, 1942, to Walter and Ruth (Asher) Sizemore in Clay County, Kentucky. Her childhood days were spent in these same hills and she graduated from Red Bird High School. On January 20, 1962, she married her beloved Preston Collett and began her family. Evelyn was a selfless person who always put others first. She loved to feed the birds and enjoyed the challenge of a good word search. Evelyn saw the good in everyone she met and loved unconditionally. Evelyn is survived by her children, Tammy (Jeff Crume) Sizemore, Terri (Gilbert) Griffin and Preston W. Collett; grandchildren, Frankie, Michael, Ryan, Nathaniel, Lucas, Gary, Angel, Nicki, Russell, Carla, Carl, Seth, Jeremiah, Brandi, Patti, Brandon and Payton; great-grandchildren, Natalie, Preston, Joshua, Hayden, Paisley, Jeanette and Zariah; siblings, Daugh (Joyce) Sizemore, Dale (Christine) Sizemore and Norma Sizemore, many nieces and nephews and beloved dog, Ginger. She was preceded in death by her parents, Walter and Ruth Sizemore; husband of 47 years, Preston Collett; daughter, Teresa Bogatitus; granddaughter, Princess and brother, Donald Sizemore. A celebration of life will be held at 11 a.m. on Tuesday, February 12, 2019, at Federated Covenant Church, 202 Center St., Dowagiac, MI 49047 with Pastor Boyd Saylor officiating. Burial will follow at Riverside Cemetery, Dowagiac. Visitation will be from 5:00 – 8:00 pm on Monday, February 11, 2019, also at the church. Memorial contributions may be made to Federated Covenant Church. Arrangements have been entrusted to Clark Chapel, Dowagiac. Those wishing to send a condolence online may do so at www.clarkch.com.